In The U.S. Air Force It Is A Good Luck Tradition For New Pilots To? The Coldest Permanently Inhabited Place On Earth Is? 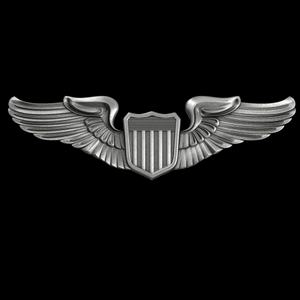 Upon completion of the Air Force’s Undergraduate Pilot Training (UPT) program, the graduating pilot is given their first pair of wings, the United States Aviator Badge for an Air Force Pilot. By tradition, this is the first and last time the pilot will have the intact pair of wings in their possession. Following a tradition going all the way back to the days of the Army Air Corps (the predecessor to the modern Air Force), new pilots take their first pair of wings and snap them into two pieces. The breaking of the wings is intended to counter the risk pilots undertake every time they fly. The pilot keeps one half and then gives the other half to their spouse, dear friend, or relative for safe keeping for good luck. The halves remain separated for the duration of the pilot’s life and, upon death, the wings are reunited to bring the pilot good luck in the afterlife.